5 Years Fred around the world! Today it's party time! Fred is celebrating his 5th anniversary. 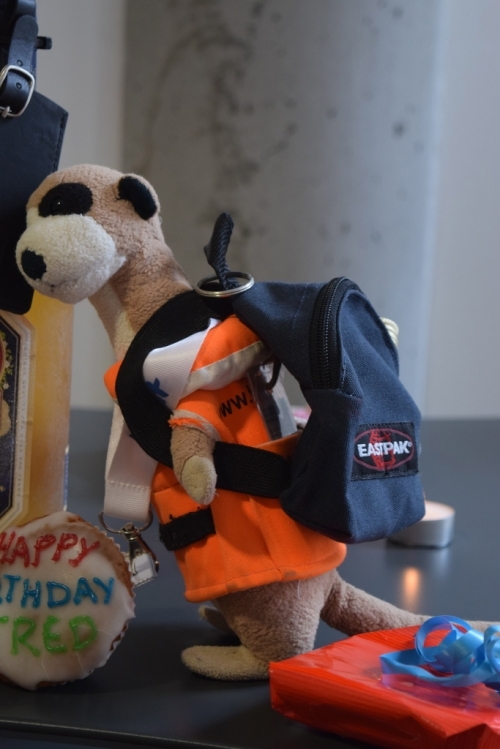 5 years ago is adventure started in Hamburg and now he is celebrating with us. We are really proud of this. Whenever somebody has his birthday in our office he get's a small gift. 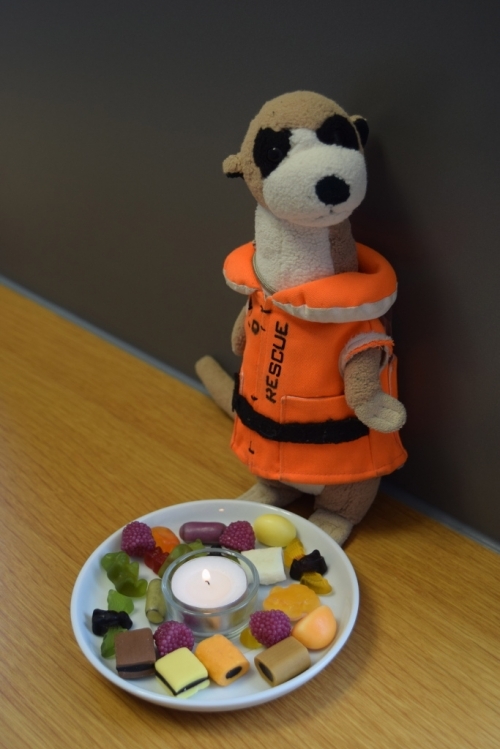 Fred had no idea and he was really happy when our secretary Susanna surprised him with these sweets. What Fred also did not know: Karolina spent the evening before to make a lot of cupcakes. The whole team met in the kitchen this morning at Fred's table. 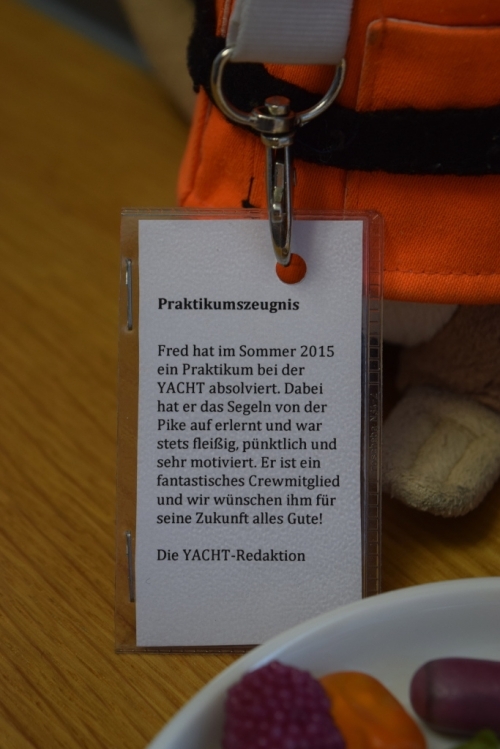 Many of our collegues are currenlty on a business trip or already on vacation, but even with a small crew, Fred enjoyed his party. Of course he also got a gift. It was planned to give him a kitbag, but we didn't find one in the right size (Fred should be able to carry it himself), so we organized a rucksack for him and it fits like a glove. Finally Fred also received his intern-certificate. 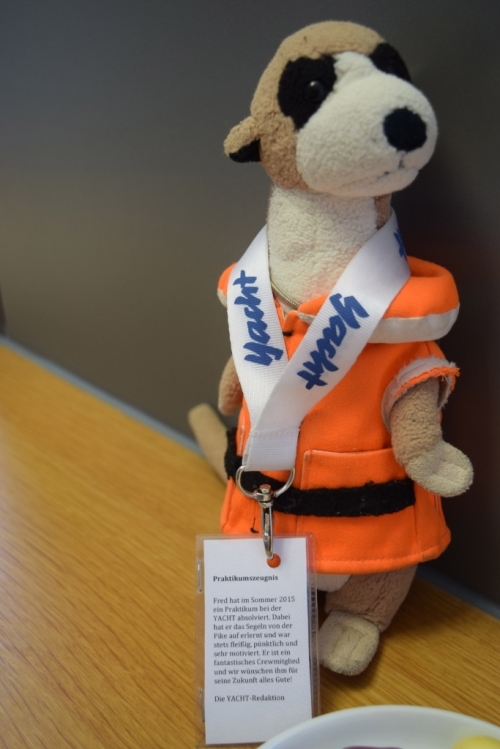 Sadly Fred will leave us soon to continue his advenures at sea. Always fair winds and following seas, little Fred. Also Martin and Axel would like to congratulate. 5 years Fred - 5 years travelling all by your own, Fred. Congratulations. That is terrific. And for all of Freds Fans, we have again a surprise for you. It is still a secret, but did you know, that Fred has some little brothers? And they are really keen to start travelling. But they are not grown up enough to travel all alone, like Fred does. Soon these guys will be ready to start to travel. Stay tuned and find out, what will happen next.